Why Choose SHOP AT HOME DECORATORS, INC.? 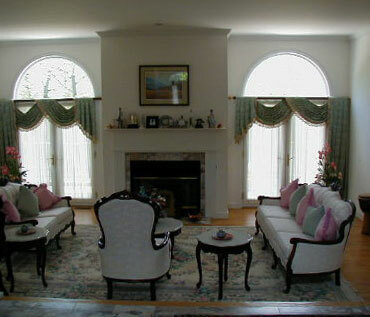 Shop At Home Decorators was established by Mr. G, who started his career in decorating, manufacturing window treatments and upholstery in 1964, by working in his father's decorating shop. Having immigrated from Europe, his father brought his experience from his home town, where focus was always on quality, service and personal approach. In 1979 Mr. G. became the "shop at home" sales manager for a large regional decorating chain, overseeing 12 retail sites including sales staff, installers, as well as the drapery and upholstery shop. It is with this background and context that Shop At Home Decorators was formed in 1993. If you are looking for a company that has more then 45 years of experience, the qualifications, to do your job right, efficiently, on time and at the right price, you will definitely make the right choice, by choosing Shop At Home Decorators. No job is too small or too large.